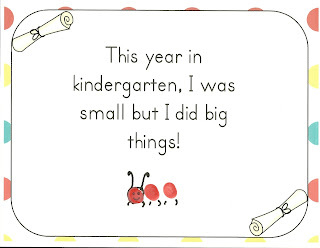 I worked really hard to make this end of the year book fun and a learning tool. I love to integrate fun! There are several options to choose from (over 25 pages) that let your students draw their response or write and draw about their response. 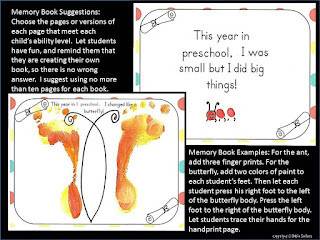 I've even added three special pages that add a fingerprint craft, a butterfly footprint craft, and a hand print. 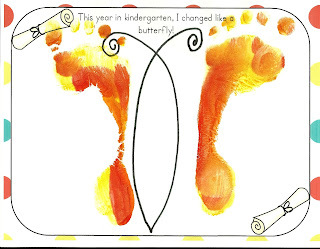 These will be great preschool keepsakes. Thanks for checking this out. 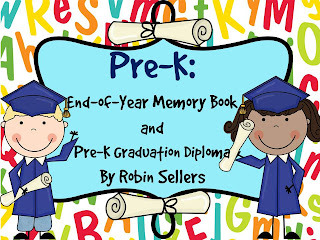 This is a new item that I have posted at a special introductory price. Please follow my blog to keep up with my latest products and sales. Hello Robin ! Any plans to make March / Spring story starters ?? I have purchased all of your other sets, they really inspire my class ! Thanks so much. I really love those sparkly frames too. I'm planning to create some prompts for Spring too. I just cannot decide if I need to make two sets or one. (One for Easter with Easter bunnies and one for just Spring) I'm still thinking and jotting down prompts as they come to me. Sounds wonderful ! I look forward to seeing all your new prompts :). I would love bunnies and spring !